Distance : 14 miles (22 km) approx. 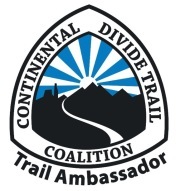 Click here for information on getting to and from the trailheads. May to October. Steer clear of July and August if you want to avoid the crowds. 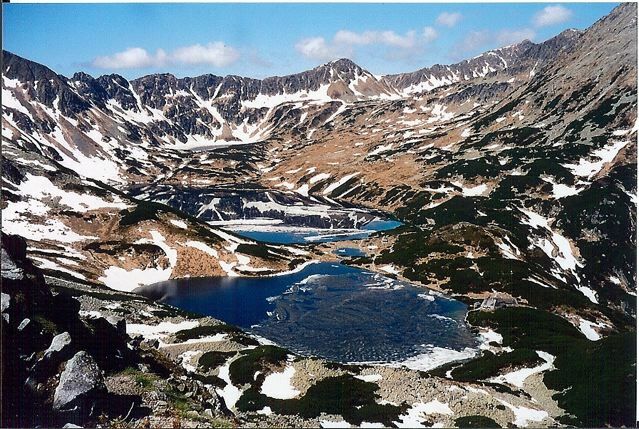 1:25,000 Tatrzanski Park Narodowy is an excellent choice. 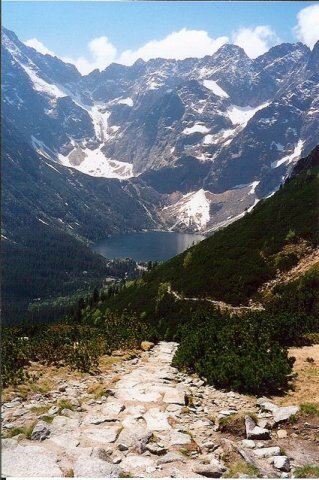 All you need for finding your way in the Tatras. Widely available in Poland. 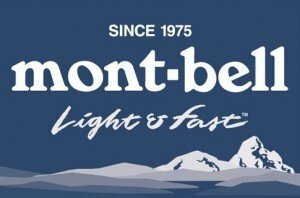 Summitpost.org is a great source of online information for both the Polish and Slovakian Tatras. Supplies can be bought in Zapokane (only 3km north of the trailhead in Kuznice). I followed the “Blue” marked track from Kuznice, via the Five Polish Lakes, to Polana Palencia. It was clearly marked and easy to follow. On the first day, from Kuznice to Dolina Pieciu Stawow Hut via Zowrat pass, I had very average conditions; rain, snow, very little visibility, etc. The second day was postcard perfect. All water obtained downstream from huts or from valley floors should be treated. 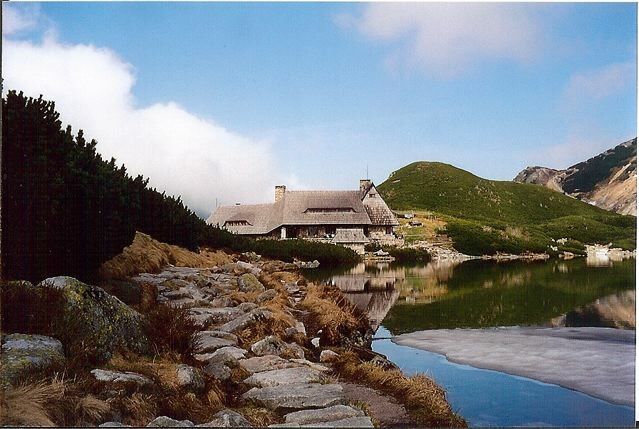 I stayed at the stunningly situated Dolina Pieciu Stawow Hut. Very comfortable. As it was early in the season there was plenty of space. From all reports, this and the other mountain refuges are often packed to the brim in summer. 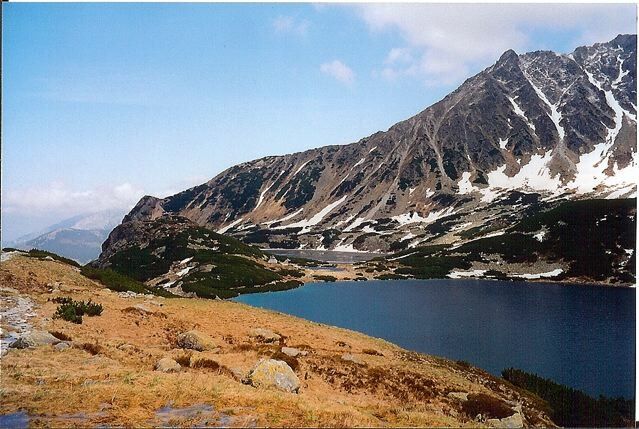 Officially speaking, you are not supposed to camp in the Tatra National park. Nonetheless, during the crowded summertime period, I imagine it would be the option of choice for the discreet hiker practicing no-trace principles. If memory serves, much of my time in Poland was spent frequenting jazz clubs in Krakow. 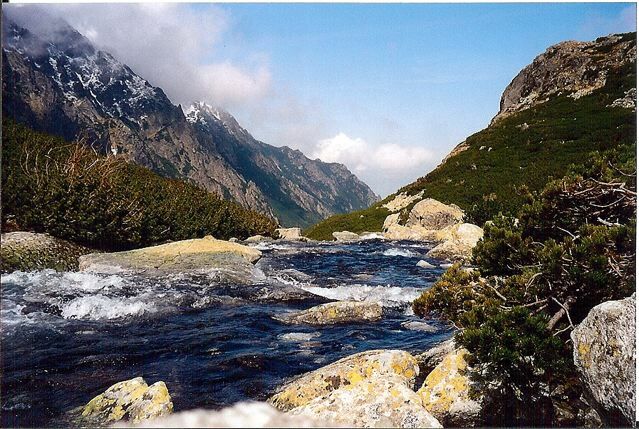 As a result my stay in the Tatras was relatively brief. I hope to revisit these beautiful mountains for an extended trip some time in the near future.